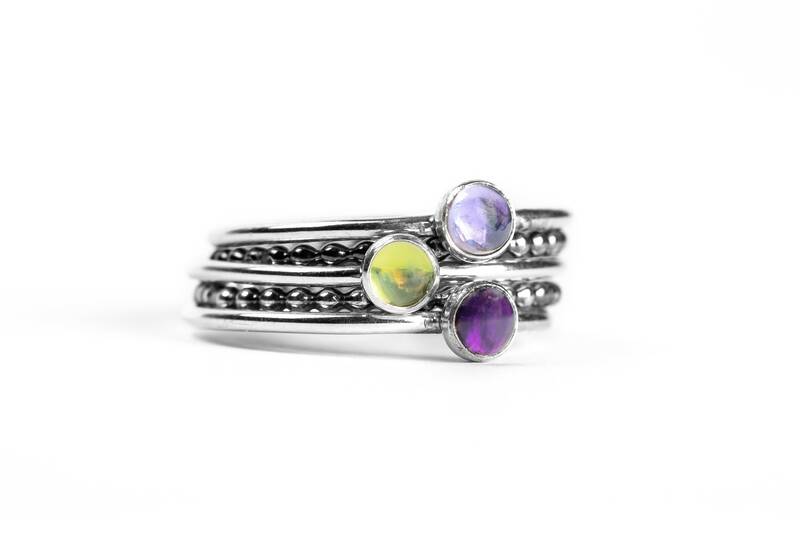 I created this colorful pastel stacking ring set from solid Sterling Silver. 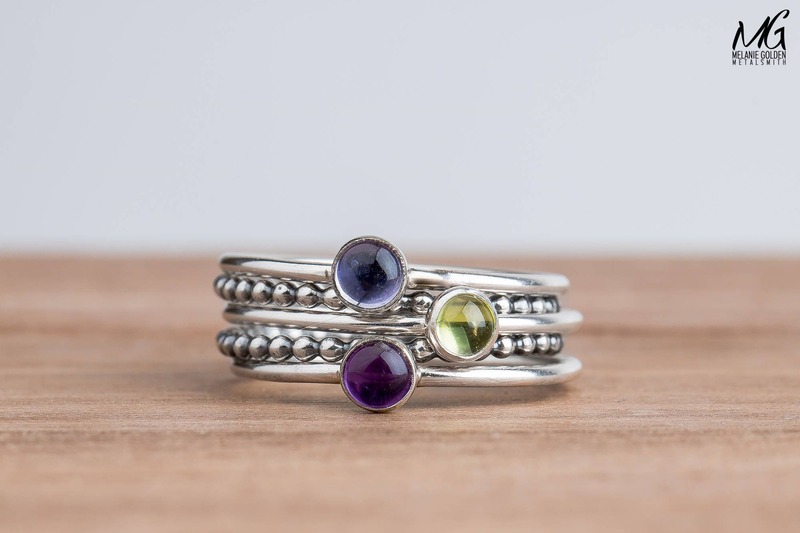 This listing is for a set of 5 rings: two plain dot stackers and three gemstone stackers with a Purple Iolite, Purple Amethyst, and Green Peridot. 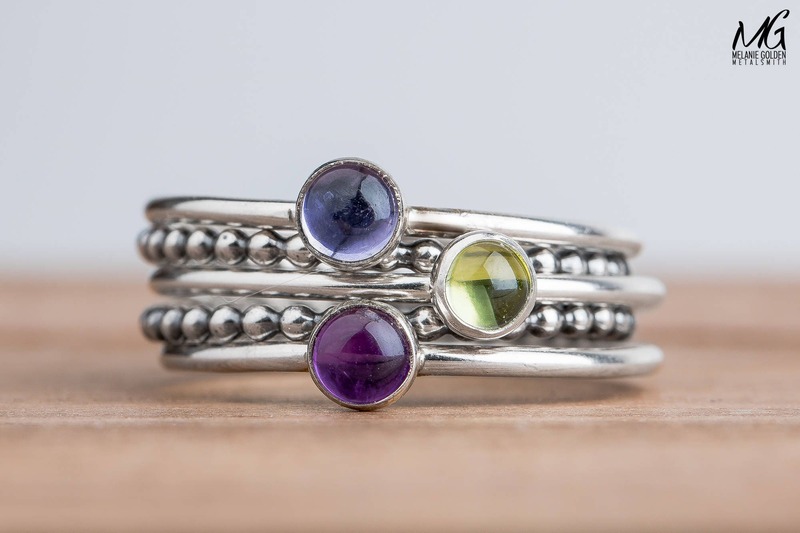 Iolite is the gem name for cordierite, a silicate of aluminum and magnesium. 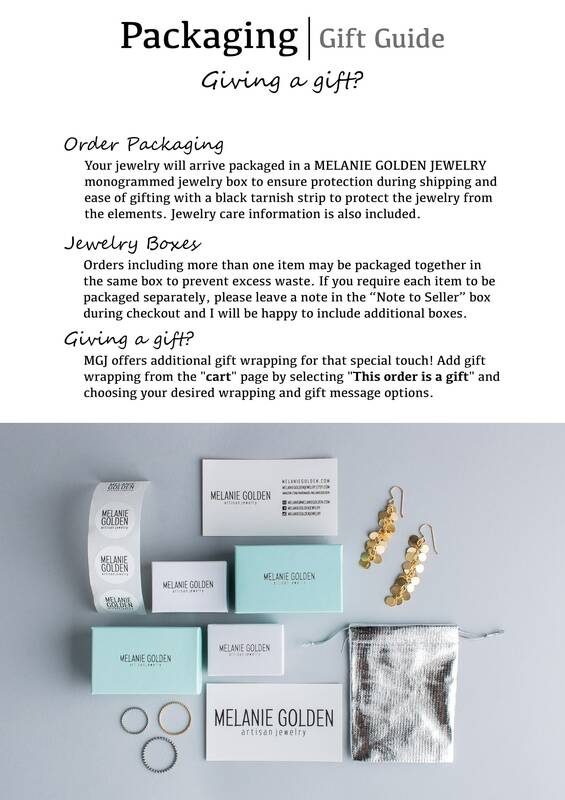 Its name comes from the Greek word “ios,” meaning violet. 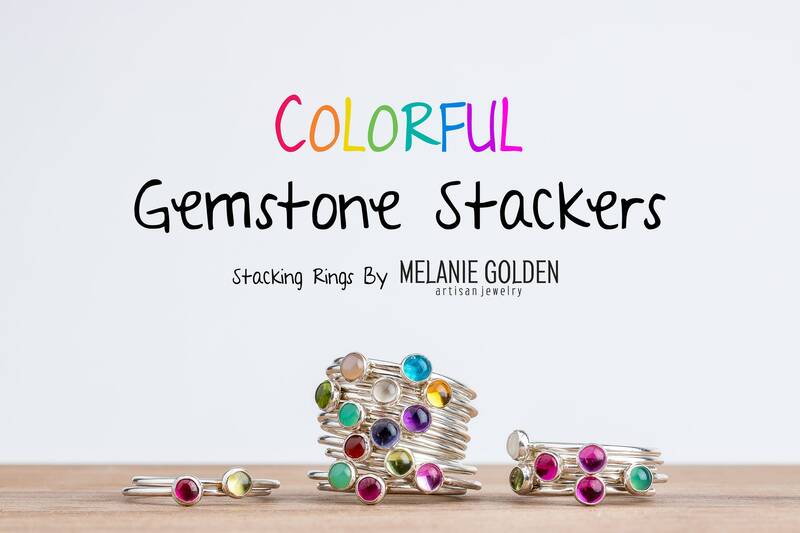 Similar to tanzanite in color, but more affordable, this stone gets its color primarily from iron. 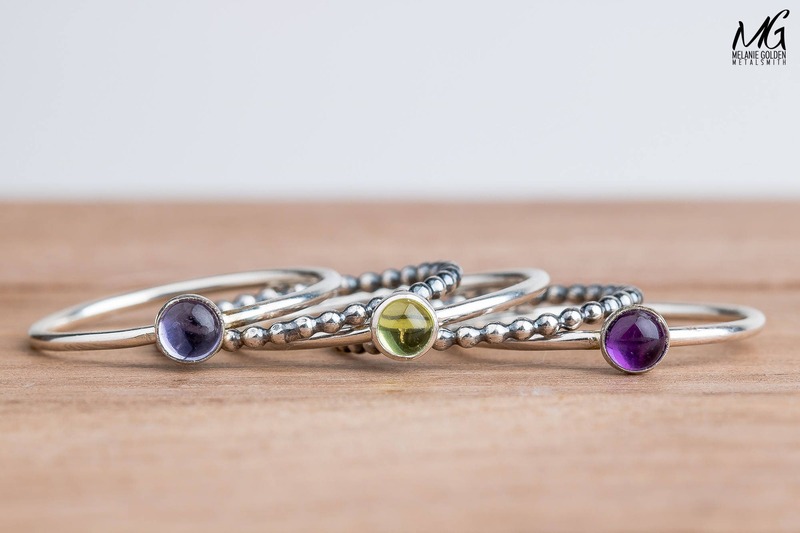 Most iolite is found in gravel beds in the form of water-worn pebbles. 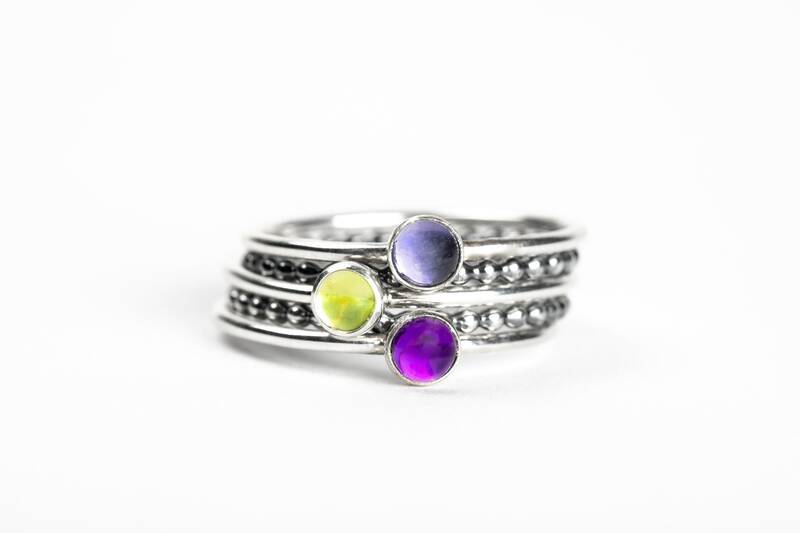 Due to pleochroism or dichroism phenomena, iolite displays different colors when viewed from different angles. Iolite can appear almost clear in one orientation, then present a deep purple color in another orientation. 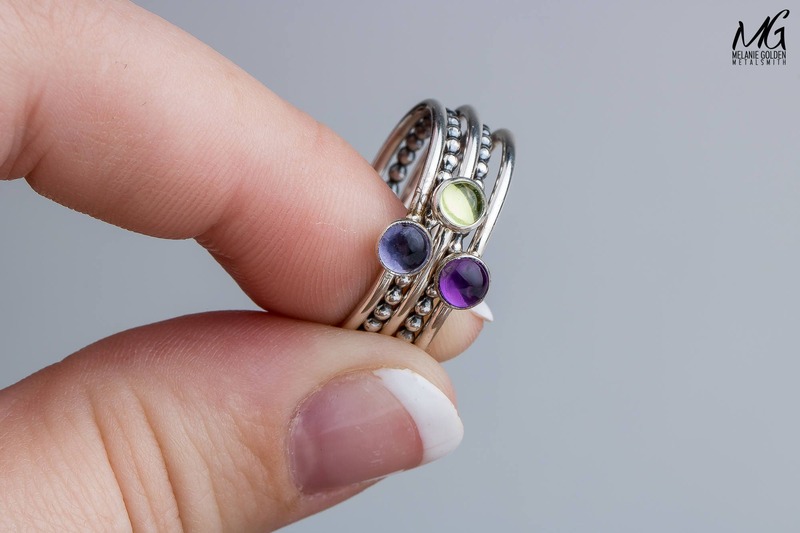 - Rings are made entirely from solid 925 sterling silver, Iolite, Amethyst, and Peridot. 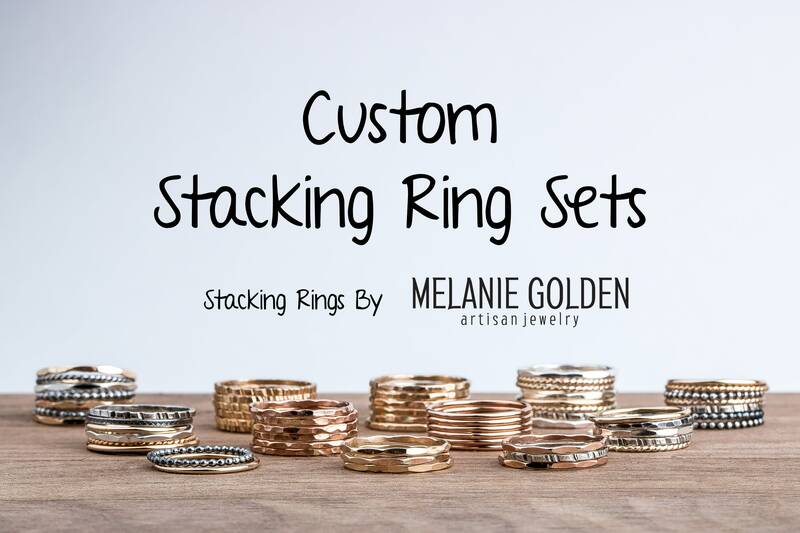 - This ring set is for FIVE rings: two dot stackers and three gemstone stackers.